Can Former Cunard Ship QE2 be Saved? Once upon a time, crossing the Atlantic was only possible by ship. Anyone looking to travel from the UK to the American continent around the early 20th century was required to spend potentially weeks surviving in squalid conditions. Then followed the invention of passenger aircraft, which was capable of carrying large numbers of people in a significantly shorter amount of time. Naturally, the passenger ships fell behind. Drastic action was required to save passenger services across the seas and, in 1969, Cunard stepped up to the plate. They launched Queen Elizabeth 2, one of the last great transatlantic liners and one of the fastest and grandest passenger vessels to grace the seas. It sailed for nearly 40 years, during which time it accumulated over five million miles. She served during the Falklands War and has undergone three refits since launch. She has carried many famous figures, celebrities including: Nelson Mandela, Ringo Starr, Elton John, and many members of the Royal Family. In 2008, Queen Elizabeth 2 was retired and sold to Nakheel for $100 million. Their initial intention was to dock the ship and transform her into a luxury hotel, complete with West-End-style theatre and glass penthouse. Sadly, Nakheel suffered badly during the economic crisis and, as a result, the ship has remained stationed in Dubai. Since 2012, support has grown to bring the ship back to the British Isles. Mayor of London, Boris Johnson, and Chancellor, George Osborne, have both been vocal of their support to bring Queen Elizabeth 2 home. The questions that remain are: Can it be done? And what service should the ship fulfil, if any? In 2013, the burning heart of the Queen Elizabeth 2 was switched off for the last time. The hot and humid conditions of the Middle East have resulted in the ship gathering mould. The future of this iconic cruise ship looks destined for the scrapyard, but many campaigners hold a firm belief in being able to rescue the vessel. For as long as the ship remains in Dubai, with no work being completed, the value will continue to drop. Due to the decreasing value, some campaigners believe Queen Elizabeth 2 could be purchased for as little as £3 million. Many campaigners would like to see the ship stationed in a destination of significance, such as Southampton, Liverpool, London, Glasgow or New York, and serve as a testament to the salvation of passenger sailing and cruising. Campaigners in Glasgow, where the ship was originally built, are calling for the ship to be brought there and have sought the support of First Minister of Scotland, Nicola Sturgeon. Others are saying that, considering that the Queen Elizabeth 2 can no longer realistically serve a purpose as a cruise ship, it should be sent to the scrapyard. Whilst many consider this to be a great shame, others believe it would be better than trying to tear up the ship and turn it into a mega hotel. This is exactly what happened with another former Cunard ship, Queen Mary (pictured above) – which offered services for Cunard when it was known as Cunard White Star Line, in 1936. 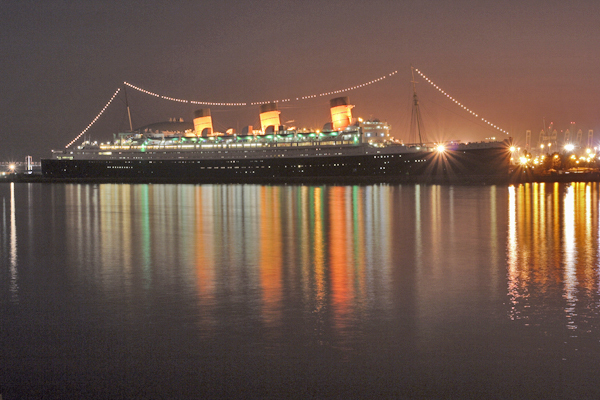 In 1967, the ship was moved to Long Beach, California, and transformed into a hotel and tourist landmark. This project saw its fair share of difficulties and many of the ship's original features and amenities were either modified or lost. The Queen Mary Hotel has received royal salutes over the last few years from each of the current Cunard ships. 2015 marks 175 years of Cunard and many campaigners have seized the opportunity to gain publicity for the salvation of Queen Elizabeth 2. The question remains as to whether such a project would be economically viable. Were you lucky enough to sail on board the Queen Elizabeth 2? This ship epitomises passenger services across the seas and was a huge turning point for the cruising industry. If you have a similar passion for cruising and want the opportunity to share this with others – why not consider becoming a Cruise Specialist with GoCruise Franchise? Our dedicated and highly experienced team are ready to answer any questions you may have. Contact us via the Freephone Number above or complete an Online Enquiry Form to find out more.